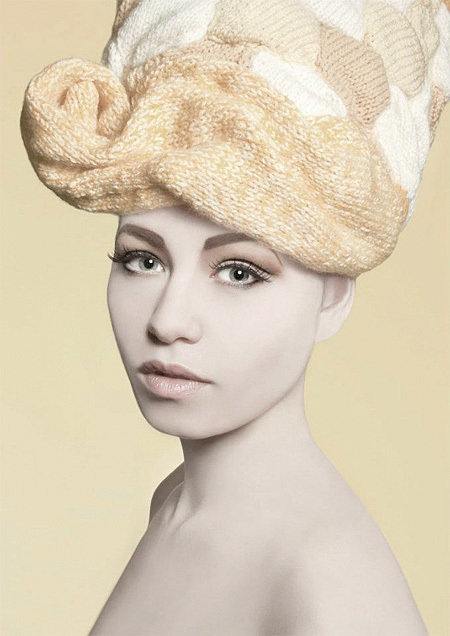 Unique wigs created by London based artist Louise Walker were inspired by famous and classic hairstyles. 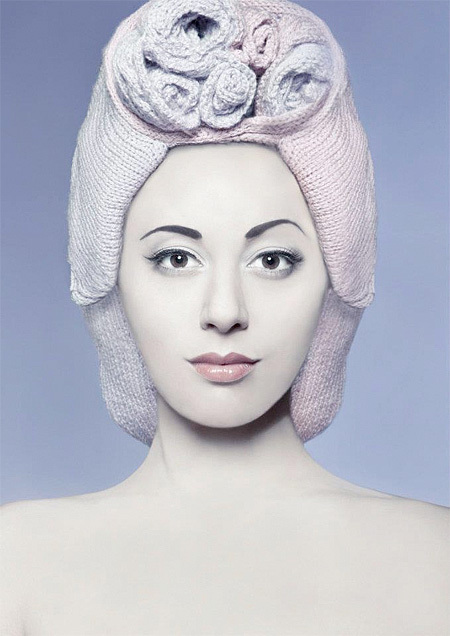 Creative and stylish “Knitted Wigs” will definitely get you noticed and keep your head warm during the winter. Perfect for fashion photo sessions. 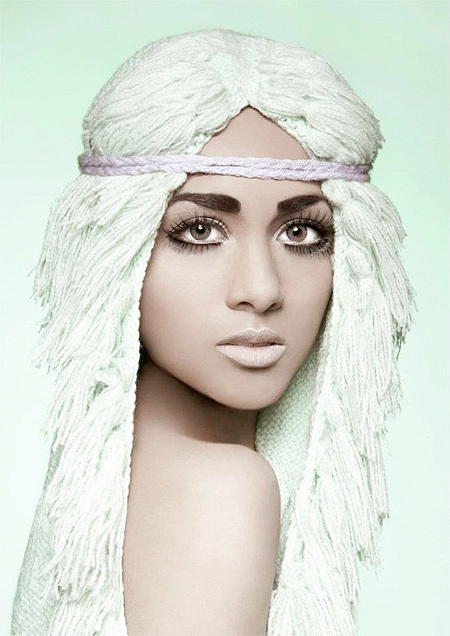 Great hats…I mean wigs…no, I mean hats! are those models or mannequins? 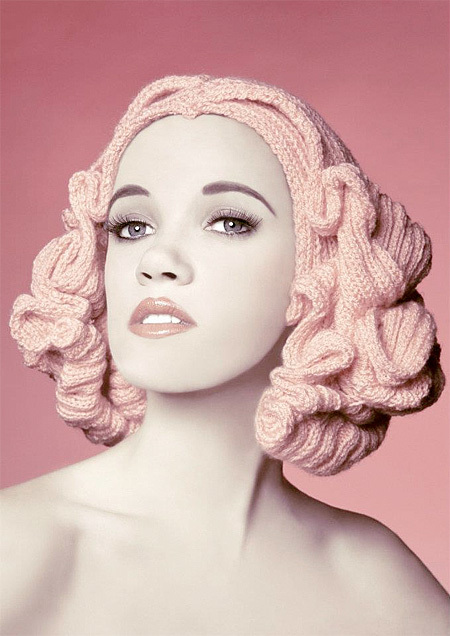 If the knitted wigs were the color of hair it would have been more interesting.